Quality Indoor Grown Cannabis You Can Trust ! In the Heart of the Pacific Northwest, Sunlight Ridge is nestled in the beautiful Willamette Valley in Molalla Oregon. Our gorgeous 50 acre farm has a true organic country feel with its lush green rolling hills and breathtaking views of Mount St. Helens and Mount Hood. To supply Oregon with a consistent quality top shelf product that will leave every cannabis connoisseur completely satisfied. 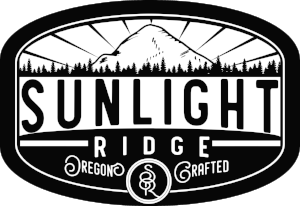 Sunlight Ridge is an OLCC Licensed Cannabis Production Company that specializes in producing consistently high quality cannabis for cannabis connoisseurs in the state of Oregon. Our focus is to create a product with a Robust Aroma, Smooth Unique Flavor, and Vibrant Beauty so that you have a positive relaxing experience with our farms products every time you use them. When it comes to our experienced and dedicated farmers, attention to detail, dependability and integrity are a must. We thrive on building new and innovative processes that continue to improve our product through each harvest. This is how we guarantee a consistently positive experience with our products. When cultivating top shelf flower we are left with a wide variety in sizes of buds for our retailers. We grade the flower product in categories of "A" and "B" buds so we can keep a consistent quality in our products. In order to keep our top shelf jar appeal we hand select only the finest, consistent, and larger sized flowers from our harvest to put in our retailers display jars. These are called "A" buds. After removing our “A” buds we are left with high quality "B" buds. We use our “B” buds to create our Premium Hand Crafted Pre-Roll Singles.